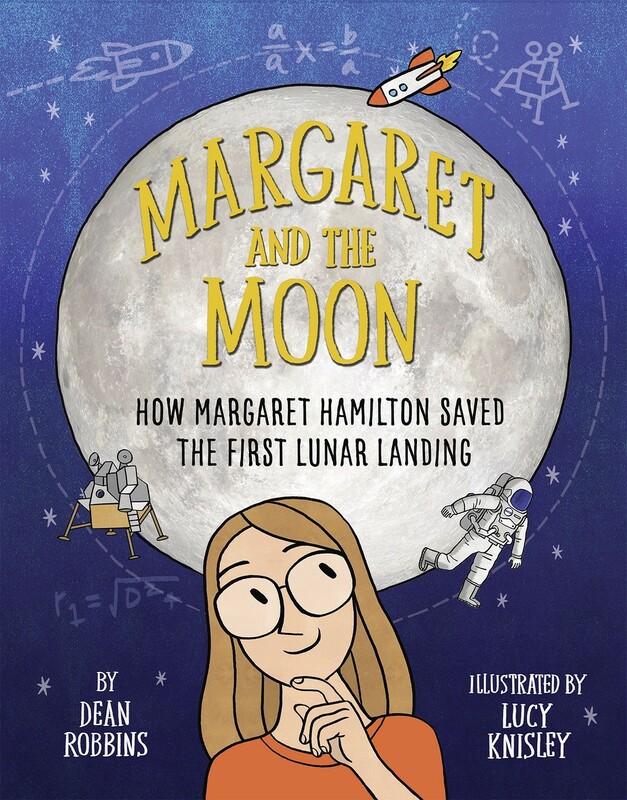 Fortunately, with the increasing availability of great biographies for children and teens, we can show our girls that women in science make contributions every day! And, of course, these titles are just as important to share with boys because all kids need to know that science is for girls! 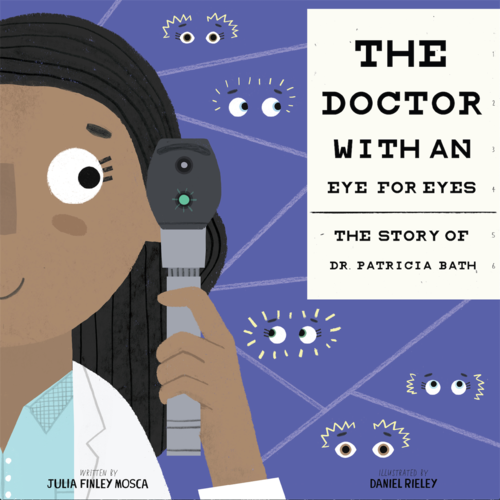 With that in mind, we've showcased our favorite biographies of female scientists for children and teens. From primatology to physics, the expanses of space to the vast floor of the ocean, these women made their mark and changed the way we see the world... just like the budding Mighty Girl scientists of today will one day! 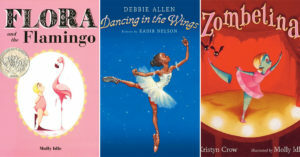 For fictional stories featuring Mighty Girl scientists and engineers, check our our blog post Ignite Her Curiosity: 25 Books Starring Science-Loving Mighty Girls. In the Middle Ages, people believed that caterpillars were spontaneously generated from muck and mud, but even as a child, Maria Merian disagreed! As a young woman naturalist and artist, she watched and illustrated as caterpillars spun their cocoons, rested within, and emerged as "summer birds" — moths and butterflies. Her remarkable illustrations proved an astounding natural process: metamorphosis. 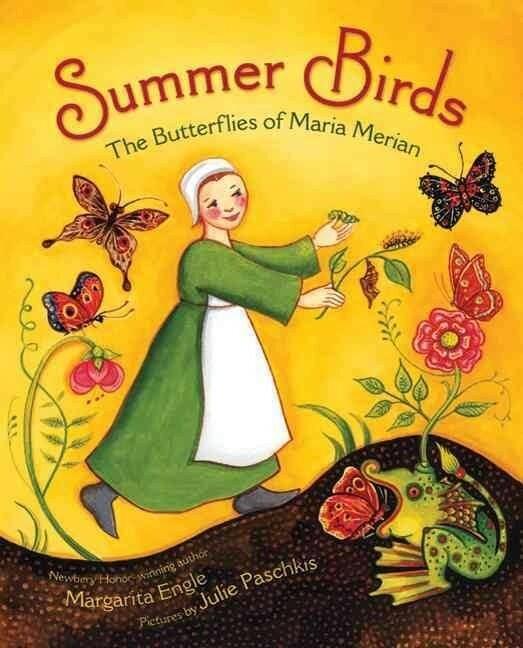 This joyful and vibrant picture book biography aptly captures the passion Merian had for the beauties and wonders of the natural world. 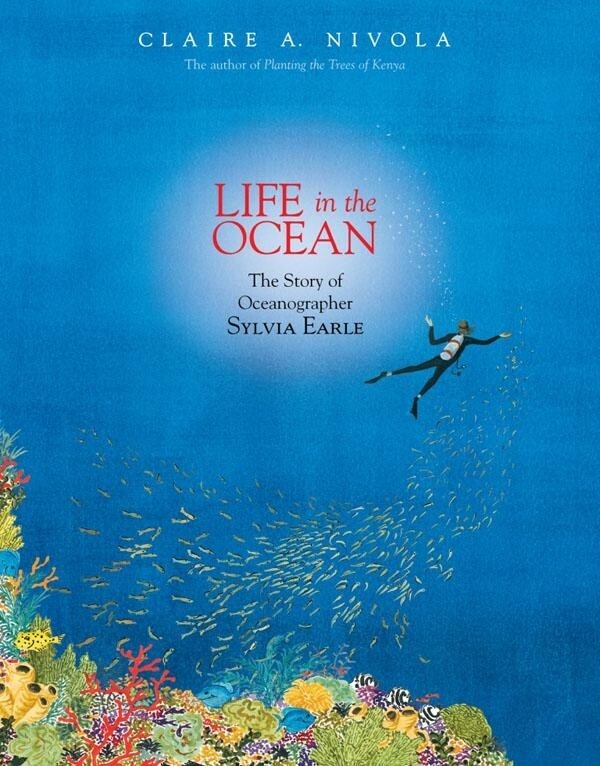 As a young girl swimming in the Gulf of Mexico, Sylvia Earle developed a passion for the sea and the life within it. As an adult, she dove even deeper into the subject — literally! From designing new submersibles to swimming with the whales to deep-water walks in special dive suits, Earle has explored one of the most mysterious places still left on Earth; our vast oceans. And as Time Magazine's first Hero for the Planet — who is affectionately referred to as the Sturgeon General by colleagues — she is one of the most passionate voices for protecting what she calls "the blue heart of the planet." This exquisite picture book biography will fascinate young readers. 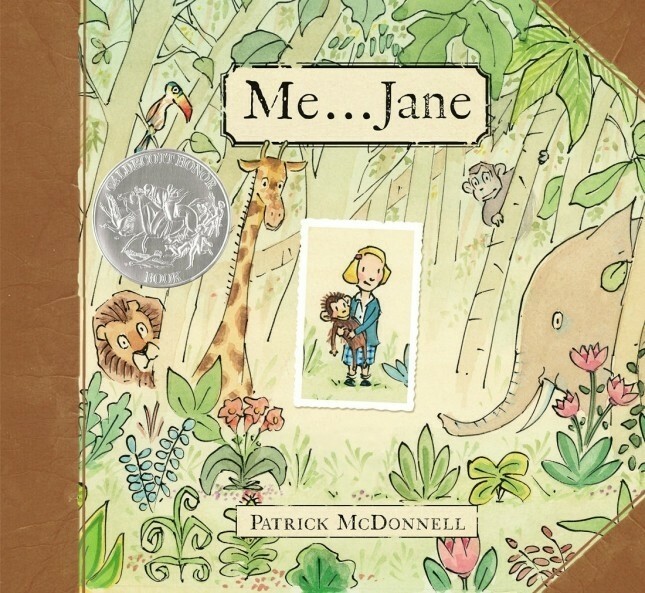 This captivating picture book tells the story of Jane Goodall, the chimpanzee scientist who turned her love of nature and science into a career that not only revolutionized our understanding of what it means to be human, but also opened the door for generations of female scientists after her. From her childhood escapades, hiding in the family chicken coop so she could see a hen lay an egg first hand, to her decades of research in Africa, this book shows how Goodall turned her natural talents into a career that changed the world. Filled with colorful illustrations, this new addition to the Ordinary People Change The World Collection strikes a wonderful balance between information and inspiration and sends a strong message to kids about the importance of determination in achieving your goals. As a child, Clara Barton struggled with shyness and fear... but her beloved brother insisted that she would find a way to change the world. When he suffered a terrible injury, Clara helped him recover — and found her life's work. 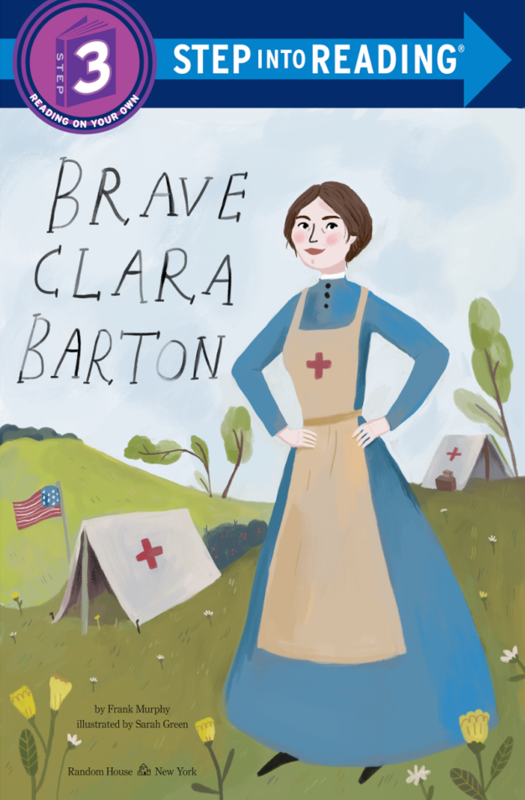 Clara Barton would go on to become a teacher, a nurse on the front lines of the Civil War, and the founder of the American Red Cross. 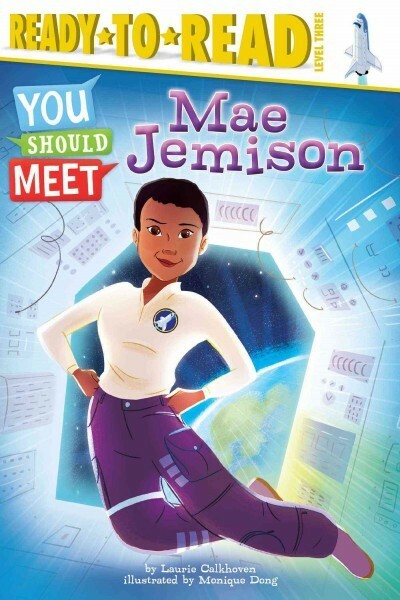 This Step Into Reading level 3 early reader biography of this inspiring role model will encourage young readers to face their own fears and follow their dreams. Over two hundred years ago, a teenager who gathered seashells to supplement her family's income made an astounding discovery! Mary Anning, the discoverer of the first complete ichthyosaur skeleton, would become famous not only for her incredible luck — she also found two complete plesiosaur skeletons, the first pterosaur skeleton outside of Germany, and many important fossils of fish — but also for her observations that changed the way people thought about prehistoric life. 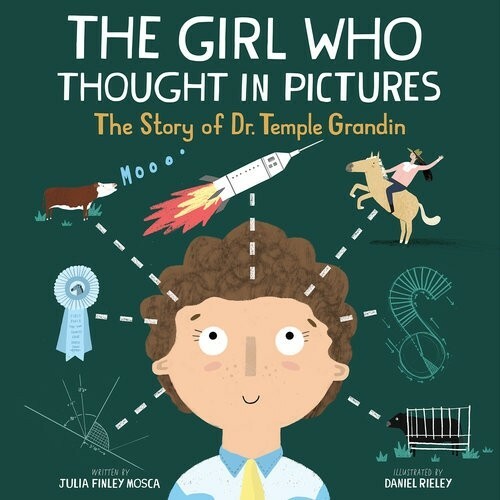 This picture book biography captures Anning's determination, intelligence, and patience at a time when no women could fully participate in the scientific world. As a shy young woman, Rachel Carson found joy and purpose in studying the creatures all around her. Her articles and books about marine life made her a best-selling author, but it was her groundbreaking book Silent Spring, about the effects of the pesticide DDT on wild animals and birds, that turned her into a household name. Along the way, she would help found the modern environmental movement. Written for the fiftieth anniversary of Silent Spring's publication, this thoughtful picture book shows how a quiet and dedicated scientist changed the way people thought of their effects on the Earth. Middle grade readers interested in learning more about Carson can check out Who Was Rachel Carson? from the Who Was...? 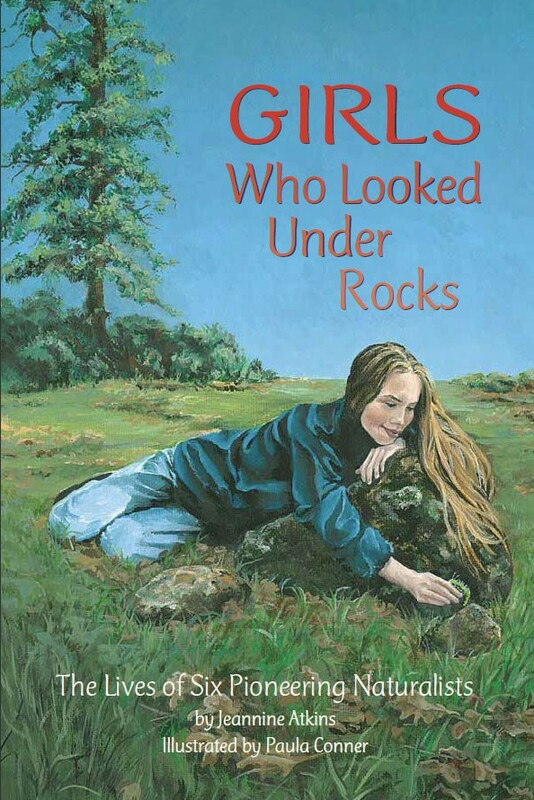 biography series for ages 8 to 12. 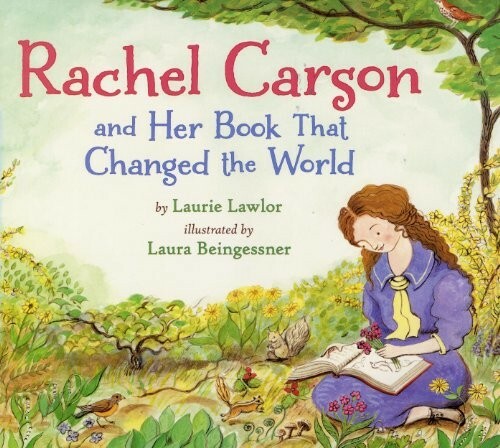 For more books resources on Carson, visit our Rachel Carson Collection. Temple Grandin was considered a strange girl, and doctors told her mother she'd never speak, let alone have a productive life. But her mother refused to believe it: she saw potential in her observant and creative child. As Temple grew, she attended school, got part-time jobs, and started learning how to articulate the different way that her mind worked: her astounding visual memory even allowed her to draw whole blueprints just from one tour through a facility, and her empathy with animals helped her design spaces that help them stay calm. Today, she is a powerful voice in science, advocating for autistic people like herself. This picture book biography told in rhyming text is an inspiring introduction to an important figure in scientific history. 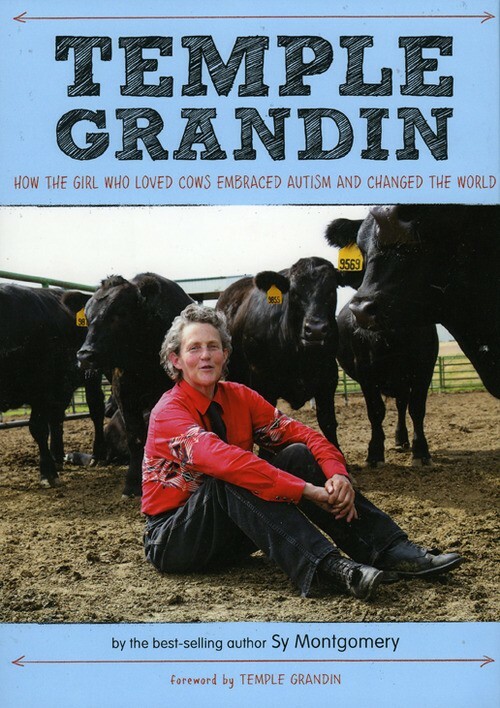 Older kids can read about Grandin's story in Temple Grandin: How the Girl Who Loved Cows Embraced Autism and Changed the World for ages 9 to 14. From the moment she saw a shark swimming in an aquarium as a girl, Eugenie Clark was fascinated — but as far as the world was concerned, sharks were mindless and dangerous eating machines. As the Japanese-American girl grew, she became a scientist — a surprising choice for a young woman in the 1940s — and made groundbreaking discoveries about the beautiful, mysterious ocean creatures that she loved. 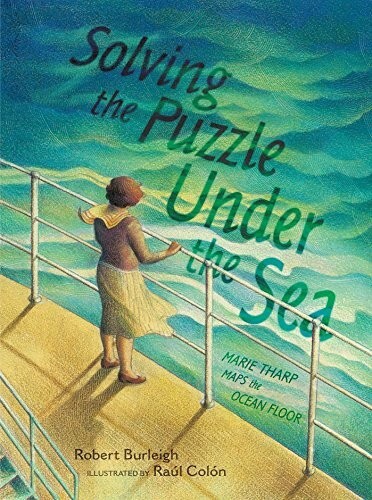 This beautiful picture book biography of the "Shark Lady" is a celebration of the wonder of nature and of a daring woman who changed the way the world saw the ocean. 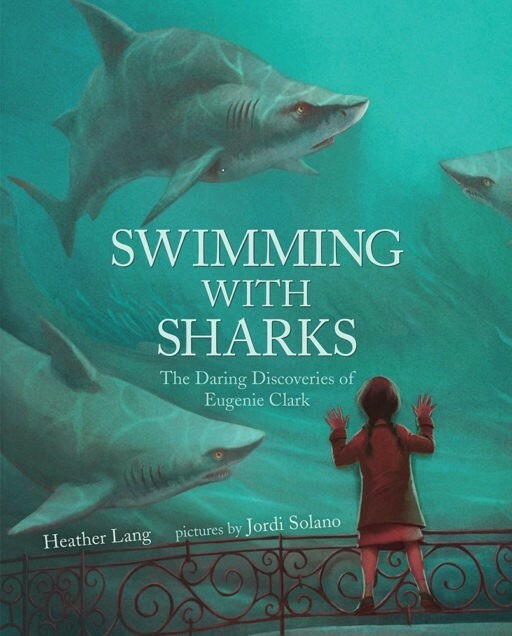 For another biography about Clark, check out Shark Lady: The True Story of How Eugenie Clark Became the Ocean's Most Fearless Scientist. 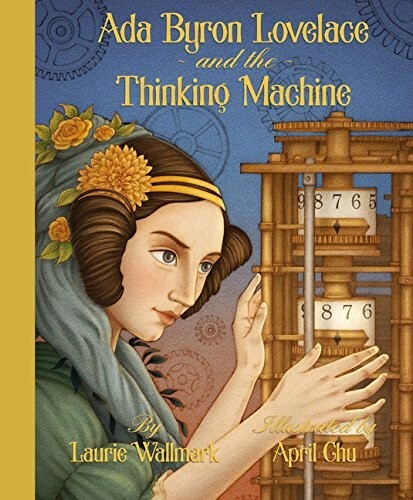 Thanks to her mathematically talented mother, Anne Isabella Byron, young Ada Lovelace had the opportunity to develop her remarkable intelligence. 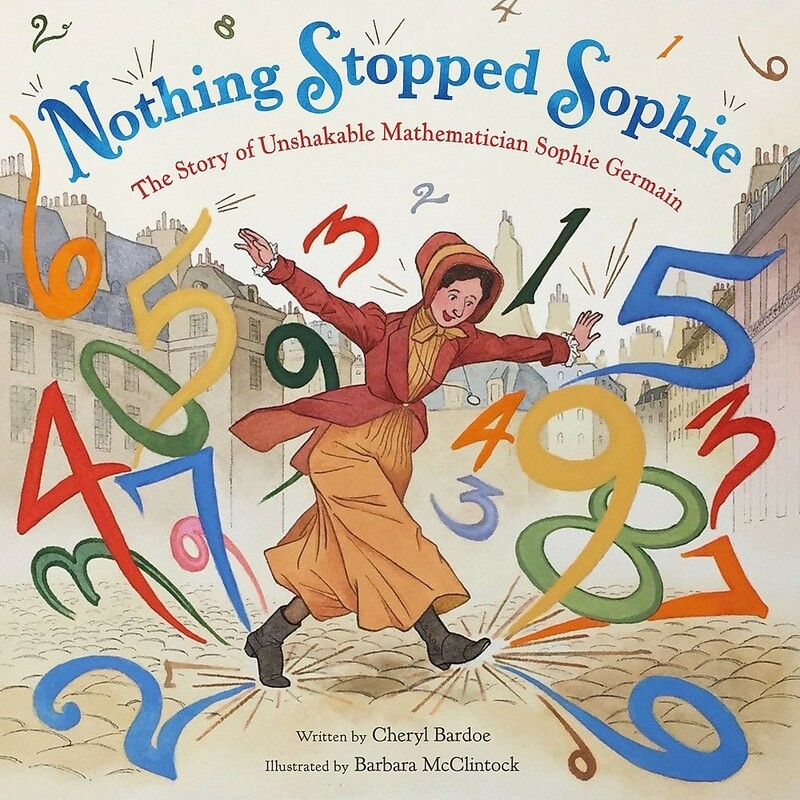 Years later, when she met Charles Babbage, the inventor of the first mechanical computer, he named her the Enchantress of Numbers for her astounding mathematical skills. 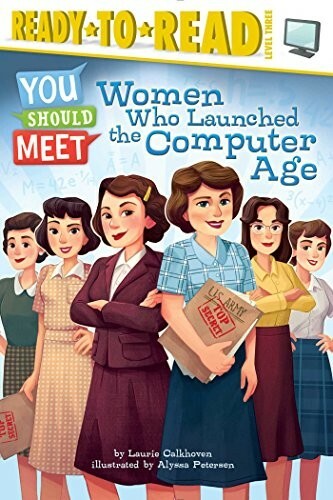 Little did either of them know that, when she designed an algorithm for Babbage’s Analytical Engine, she would be making history — by writing the world’s first computer program! 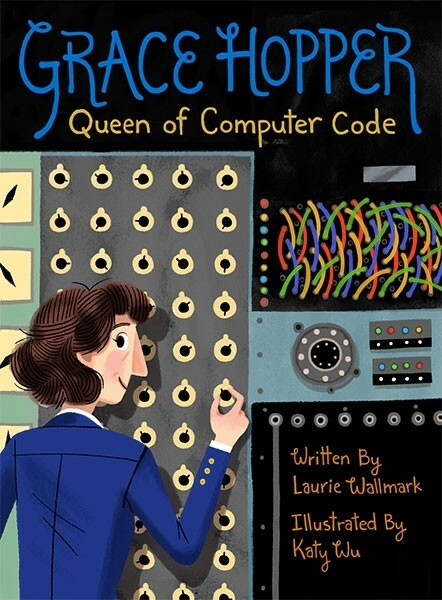 With vivid artwork and intriguing anecdotes about Lovelace's genius, this picture book biography pays homage to a little-known but deeply influential figure in computing history — the world's first computer programmer. 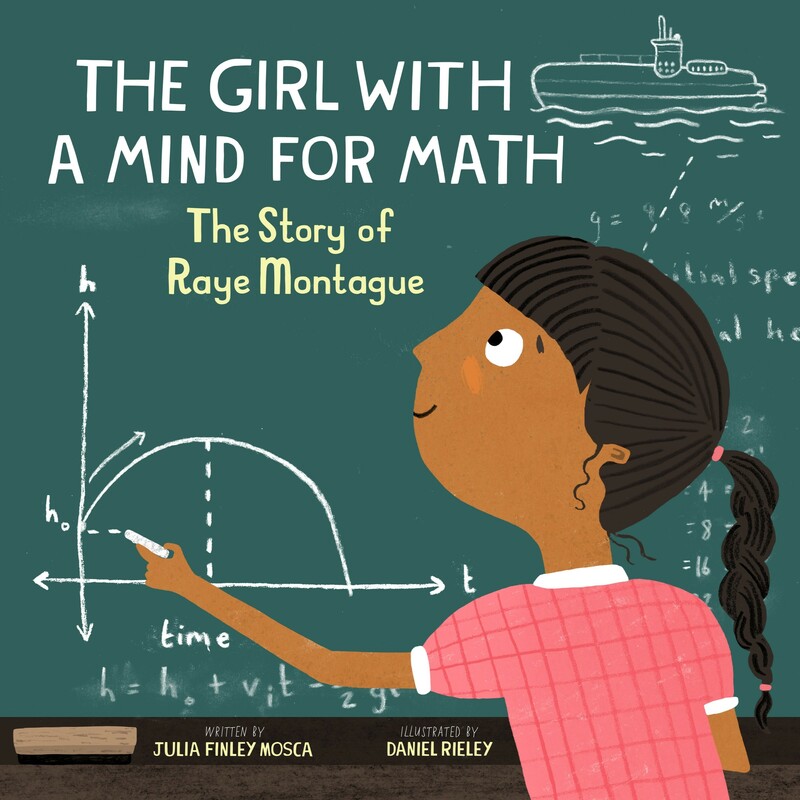 Ada's story is also told in two more delightful new picture books, Ada's Ideas and Ada Lovelace, Poet of Science. Caroline Herschel was the youngest child in a poor family, and nobody expected her to amount to anything — especially once she ended up scarred by smallpox and stunted by typhus. Her family used her as a scullery maid, but her brother William saw something different in her, so when he left for England, he took her with him. Together, the astronomy-loving brother and sister built the greatest telescope of their age, which Caroline used to discover fourteen nebulae and two galaxies. She even became the first woman to discover a comet — and the first woman officially employed as a scientist. 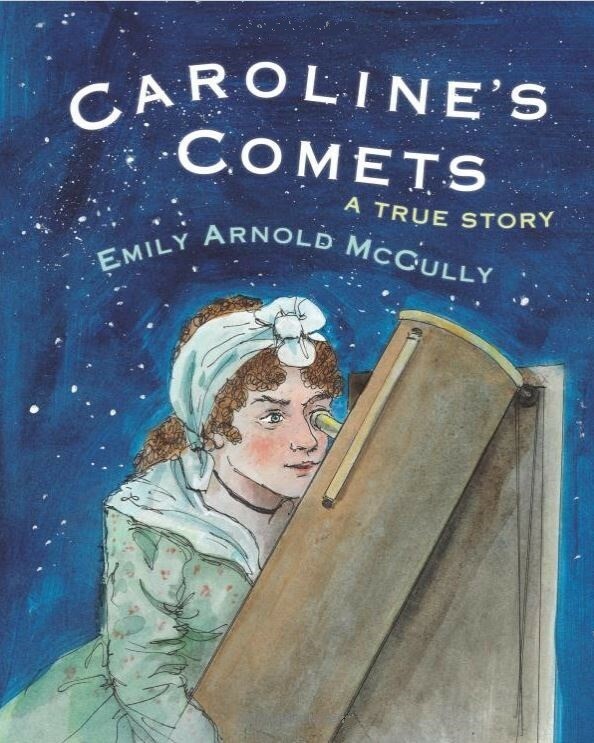 This picture book biography of the groundbreaking astronomer will inspire kids with her spirit of curiosity and resilience. When Patricia Bath was coming of age, the Civil Rights movement was in full swing. The intelligent young woman was determined to become a doctor, but she had many obstacles in her way: racism, sexism, and poverty all seemed to be working against her. Nevertheless, she continued to strive, and she broke new ground for both women and African Americans in her chosen field of ophthalmology. And when she invented the Laserphaco Probe in 1981, she created a quick and nearly painless way to treat cataracts — one which has now been used on millions of patients around the world, in some cases restoring vision to people who had been unable to see for years. This inspiring story, which includes a note from Bath herself, highlights the power of fighting for a dream. As a young girl growing up in Kenya, Wangari Maathai was unique for being allowed to earn an education; she also learned traditional Kikuyu reverence for nature. As a young adult, she had the opportunity to attend university in the US, but she always planned to return to her home. When she did, she combined her newfound scientific education with her appreciation for good husbandry of natural resources to found the Green Belt Movement, which not only provided sustainable work for women across Kenya, but also helped them replant millions of trees and restore the land's natural beauty. This vibrant picture book biography of the first African woman to win the Nobel Peace Prize is a true showstopper. 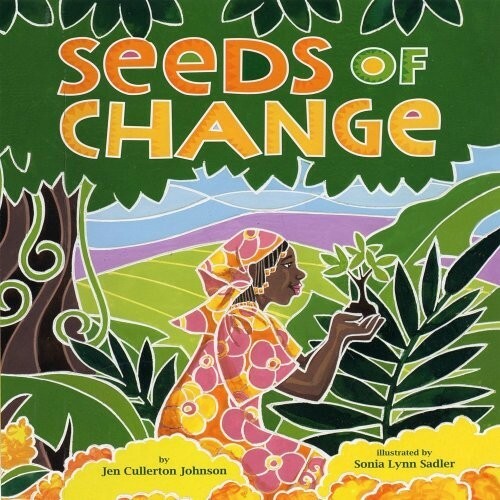 Fans of this book can also check out Mama Miti: Wangari Maathai and the Trees of Kenya for ages 4 to 8 or the other resources in our Wangari Maathai Collection. Young Anna Comstock adored being outside: she spent her days enjoying nature and observing everything she could, from ants on the move to the constellations in the sky. And even though many people thought science was only for men, she went to university and continued to study. 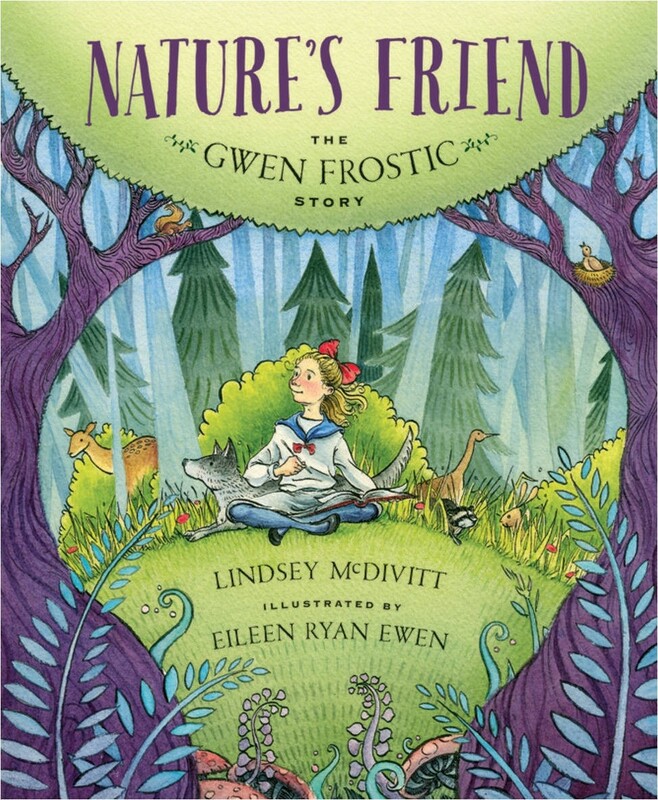 She became famous as a nature expert and artist, creating many stunning books about nature. 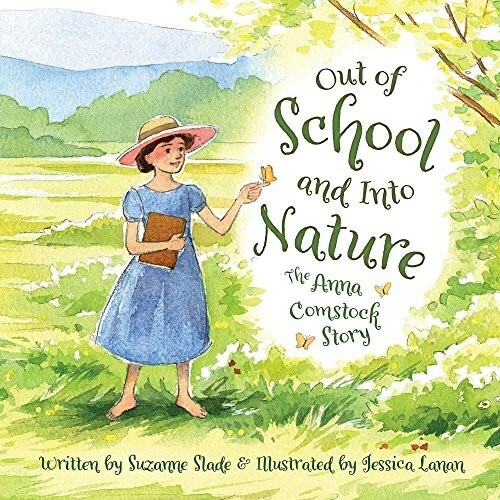 As a leader of the nature study movement, Comstock also believed it was important to foster children's appreciation for nature and created one of the earliest school curriculum focused on studying nature outdoors. This charming biography not only celebrates a pioneer for women in science, but also celebrates the joy of studying the great outdoors. In her nearly 60 year career, Jane Goodall went from an oddity — a woman researching primates in the wild? — to one of the world's most recognizable scientists and conservationists. Along the way, she changed the way we think about our planet — and what it means to be human. In this beautiful biography of Goodall, readers will learn about her amazing achievements, born of her remarkable ability to connect with the chimpanzees she sought to study. Primary sources and full-color photographs create a vivid and inspiring depiction of this trailblazing scientist. 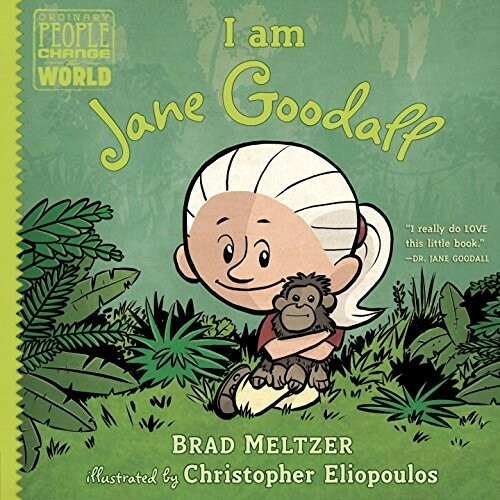 Fans can also check out Who Is Jane Goodall? from the popular Who Was...? 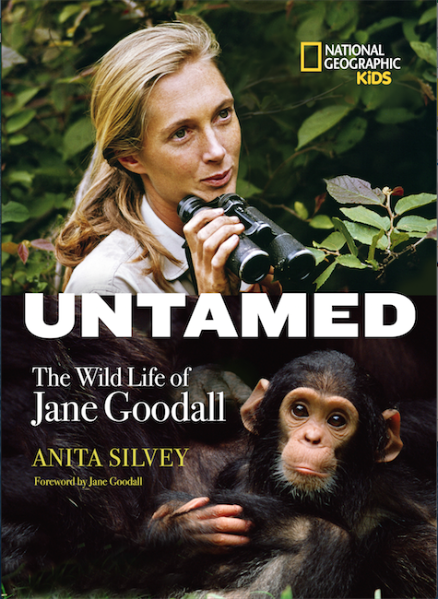 biography series for ages 8 to12 or find many more titles in our Jane Goodall Collection. 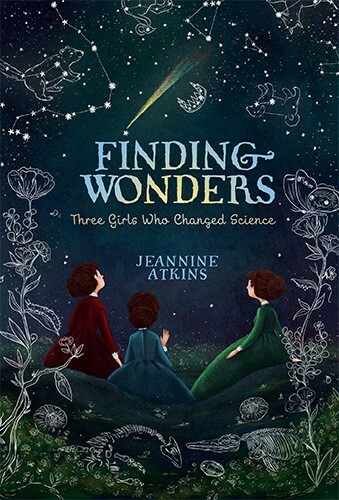 A gorgeously written novel in verse about three girls in three different time periods who grew up to become groundbreaking scientists. Maria Merian was sure that caterpillars were not wicked things born from mud, as most people of her time believed. More than a century later, Mary Anning helped her father collect stone sea creatures from the cliffs in southwest England. Intrepid and patient, she eventually discovered fossils that would change people’s vision of the past. Across the ocean, Maria Mitchell longed to discover a new comet and after years of studying the night sky, she finally did. Told in vibrant, evocative poems, this stunning novel celebrates the joy of discovery and finding wonder in the world around us. When Caitlin O'Connell traveled to Namibia for the first time, local villagers hated elephants: the animals could easily break down fences and eat an entire year's worth of stored food in a single night. Scientists were desperate to help the elephants; the villagers were desperate to preserve their livelihood. 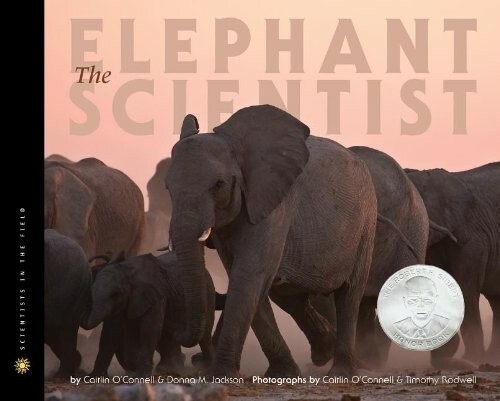 O'Connell decided to study the behavior of the elephants to see if she could find a way to protect both; that desire led to surprising discoveries about how elephants communicate — discoveries that have been used successfully to keep elephants away from farmland. Full of exquisite photographs, this biography of the woman called "the mother of all elephants" is sure to delight animal lovers. Fans of this volume can check out the rest of the Scientists in the Field series. Over decades of groundbreaking scientific work, Marie Curie created the field of atomic physics and coined the term "radioactivity" — but to do so, she had to overcome many challenges, including the limitations and prejudices directed at women in science. 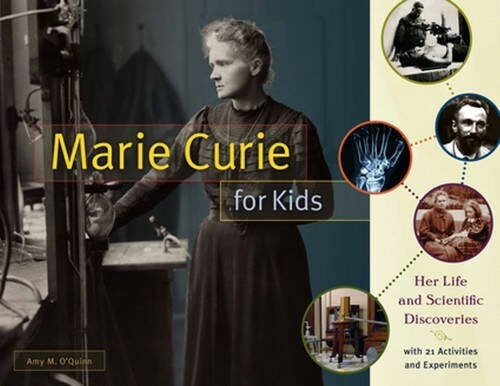 In this book, kid can learn about Curie's life while doing hands-on experiments and activities of their own! While reading about Curie's work — including her title as the only person ever to win Nobel Prizes in two different scientific disciplines — kids will also make a model of the element carbon, examine World War I X-rays, and even try their own Polish pierogies. It's an excellent way to step into the shoes of this remarkable and trailblazing scientist. Dr. Kimberly Stewart is known as the Turtle Lady of St. Kitts for her devotion to preserving and studying the leatherback sea turtle. Although the 800-pound adult turtles don't look like they need protecting, only one in a thousand sea turtle eggs laid on the beach will reach adulthood. So Dr. Stewart is not only collecting data to understand the turtles better, but also sharing her knowledge with local residents so that they can find sources for food and income that don't risk the species' survival. 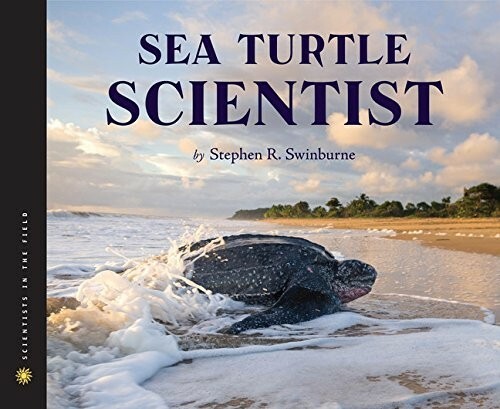 In this 2014 addition to the Scientists in the Field series, renowned author and photographer Stephen R. Swinburne uses dramatic photographs and a detailed history of the leatherback turtle and Dr. Stewart's work to show how science and the community are pairing up to protect the species. Virginia Apgar. 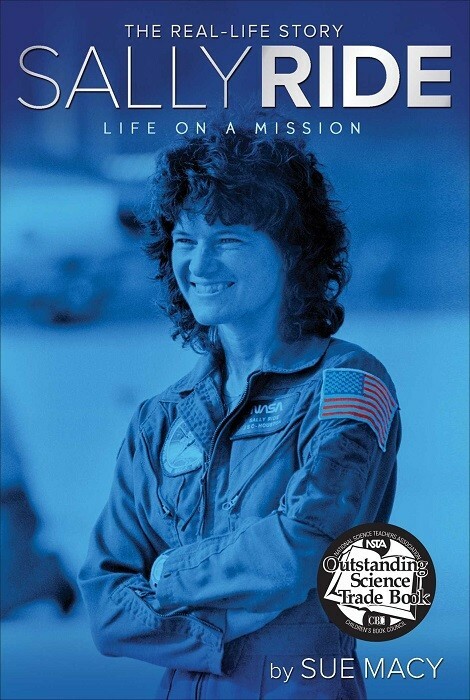 Sally Ride. Rachel Carson. These names are etched in history and included here as part of this awe-inspiring collection of profiles of some of the world's most influential women in science. 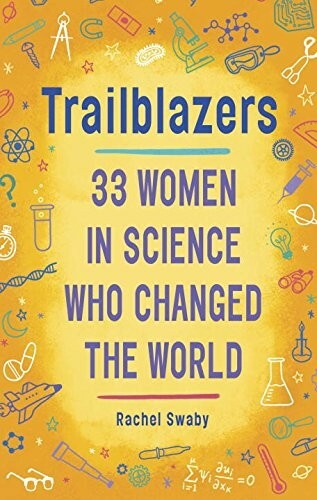 Author Rachel Swaby delves into the minds of thirty-three such women, whose vision, creativity, passion and dedication have helped make important strides in the world of science -- who have in fact changed the world. 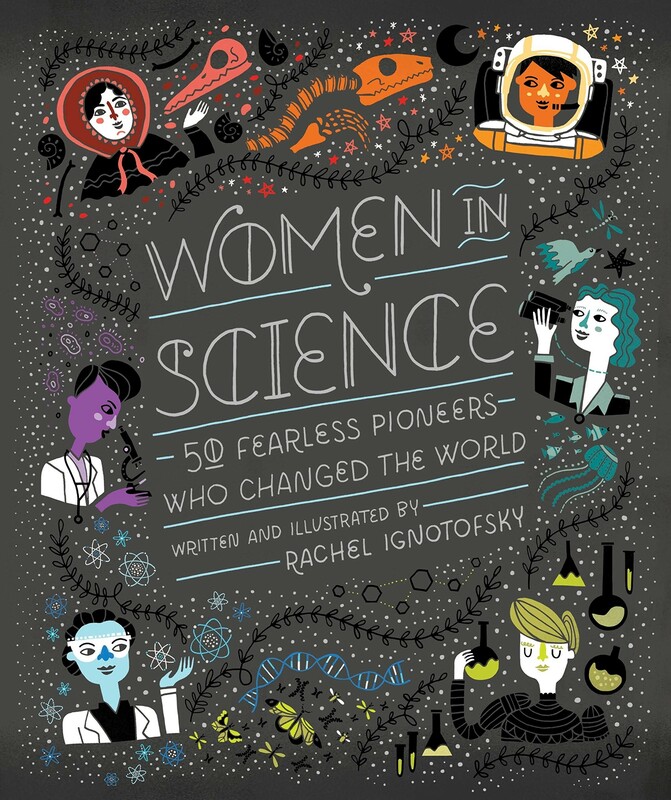 Middle grade kids will be fascinated by these snapshot profiles of 33 of history's most important female scientists. 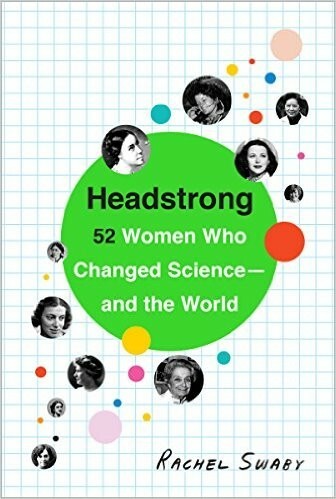 This volume for middle readers is an adaptation of the author's best-selling book for teens and adults, Headstrong: 52 Women Who Changed Science -- And The World. In 1958 America, as the quest for space was just beginning, NASA had a rule that an astronaut had to have military pilot experience — and of course, the military only accepted men in those roles. But some people wondered if some of the equally daring women pilots of the day belonged on the first space missions. 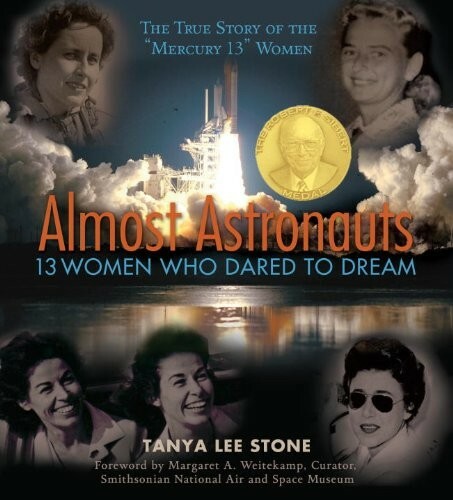 This book tells the little-known story of the Mercury 13 women, who underwent astronaut testing and training decades before the first American woman would go to space. For kids who have grown up with both male and female astronauts, reading about the Mercury 13 and their quest for the stars will shed new light on how far we've come — and how far we have to go. 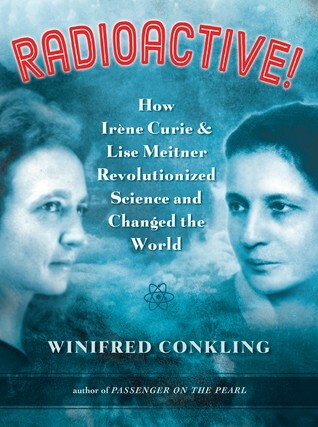 In 1934, Irene Curie, the daughter of the famous Marie Curie, developed artificial radioactivity with her husband, a discovery that won the couple the Nobel Prize — but Curie was not permitted entry into the French Academy of Sciences, who thereafter banned all women. Four years later, Lise Meitner used Curie's research to help her understand nuclear fission, a discovery that was critical to the nuclear age, but she was left unrecognized by the Nobel Committee, while her colleague Otto Hahn was given full credit for their joint research. 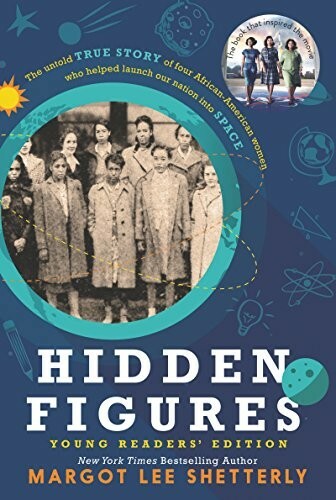 In this narrative non-fiction book, Winifred Conkling highlights the struggles these groundbreaking women faced in the male-dominated world of research, and includes sidebars that elaborate on the science of the book and shed new light on these remarkable figures from scientific history. Younger readers interested in learning more about Meitner should check out Lise Meitner Had the Right Vision About Nuclear Fission for age 7 to 10. Emi is a Sumatran rhino, the world's smallest rhino and one of the most endangered mammals on the planet. At her home in the Cincinnati Zoo, she's well fed and kept healthy — but if the species as a whole is going to survive, every female rhino needs to have as many calves as possible. Thanks to Terri Roth, Emi became the first Sumatran rhino to give birth in captivity in over a century. 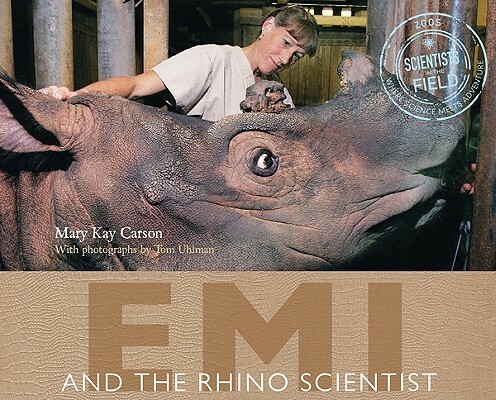 In this fascinating book from the Scientists in the Field series, readers learn how Roth's work with rhino hormones might help save these curious and friendly rhinos. Fans of this book will also want to check out The Tapir Scientist from the same series, which follows Patricia Medici's work to study the mysterious lowland tapirs of Brazil. For these six women, curiosity about the natural world and a passion for science drove them to overcome obstacles and prejudices in previously male-only occupations! Jeannine Atkins discusses the childhoods and careers of six very different women — Maria Merian (b.1647), Anna Comstock (b.1854), Frances Hamerstrom (b.1907), Rachel Carson (b.1907), Miriam Rothschild (b.1908), and Jane Goodall (b.1934) — all of whom became renowned scientists, artists and writers. 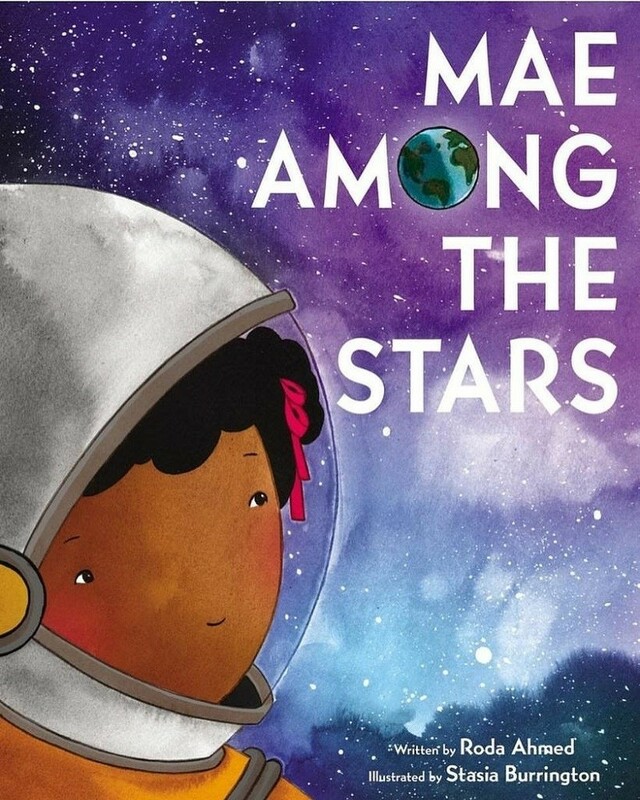 An excellent resource for students and a fascinating read for young science lovers, this book reminds readers that amazing discoveries can be found in surprising places. 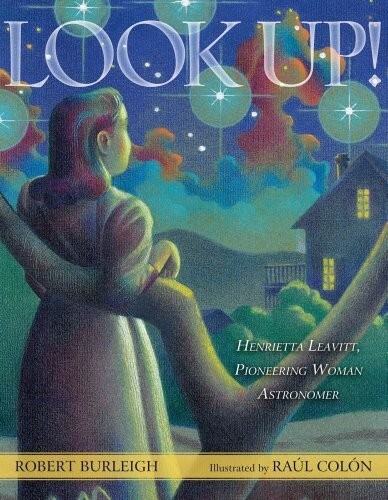 In the mid-1800s, a young woman with a passion for the stars became America's first female professional astronomer: Maria Mitchell. 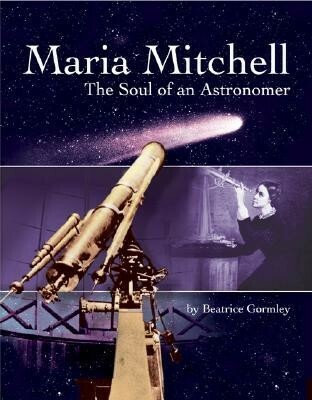 Despite many obstacles to her education and practice, Mitchell would become famous for discovering a comet by telescope in 1847, for which she became the first woman and American to receive one of King Frederick VI of Denmark's gold medals. 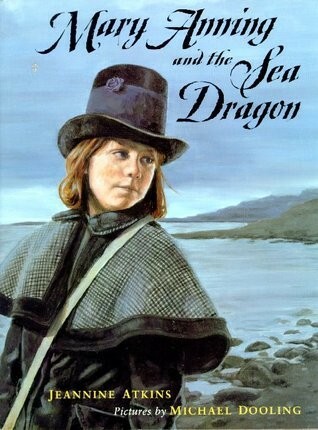 Rather than writing a simple chronological biography, author Beatrice Gormley opts to set the stage by talking about 19th century Nantucket, Mitchell's home, and her life and career as an adult, so that tween and teen readers can more easily understand just how unusual Mitchell's life really was. Complete with multiple pages of photographs, this is a unique biography of a unique woman. From battlefield nurses Clara Barton and Florence Nightingale in the 19th century, to modern medical miracle workers like Dr. Catherine Hamlin and Bonnie Simpson Mason, women have long played a key role in medicine — but their contributions have often been downplayed or forgotten. 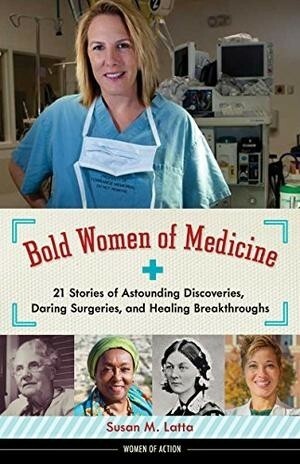 In this fascinating new title from the Women of Action series, young adult readers get to meet some of the daring and trailblazing women of the past two hundred years of medicine. From adventurers like Mary Carson Breckinridge, the "nurse on horseback" who delivered babies in the Appalachian Mountains, to research physicians like Virginia Apgar, who created the Apgar score that has saved millions of new born babies, these women defied prejudices and expectations, created incredible new procedures, and devoted their lives to healing people around the world. When these three women scientists started working for Louis Leakey studying primates in the wild, they were groundbreaking in many ways: not only were women in science still oddities, but their methods and ways of thinking led them to remarkable new discoveries. 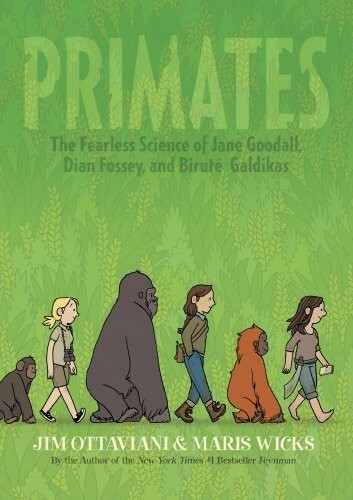 In this triple biography of Jane Goodall, Dian Fossey, and Birute Galdikas — sometimes known as the Trimates — Jim Ottoviani tells their stories in compelling fashion, emphasizing their accomplishments but also presenting them as real people with flaws and quirks of their own. Inviting illustrations by Maris Wicks capture the excitement and drama of their discoveries and their lives. Accessible, entertaining, and informative, teens will devour this graphic biography. 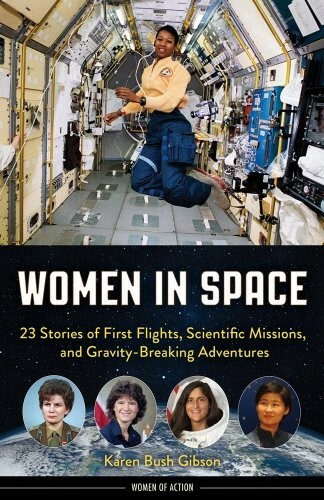 For more biographies of girls and women in science, visit our collection of Scientist Biographies. 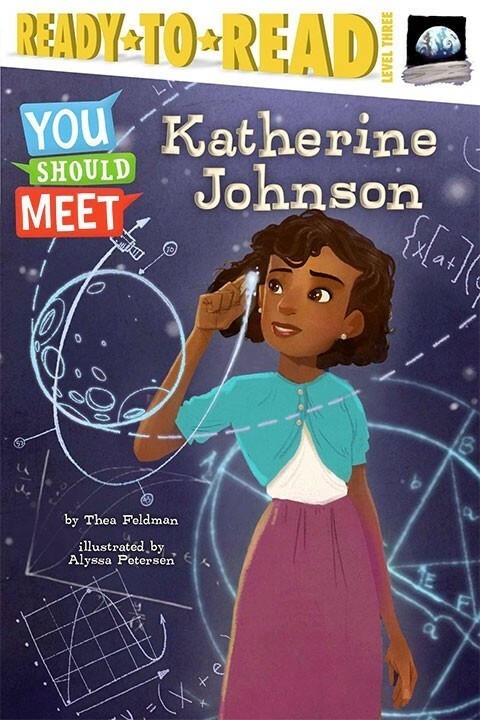 For intriguing and fun fiction featuring Mighty Girl scientists and engineers, visit our blog Ignite Her Curiosity: 25 Books Starring Science-Loving Mighty Girls. For more information about notable women scientists, visit our blog Those Who Dared To Discover: 15 Women Scientists You Should Know. For toys and kits to get your Mighty Girl hands on with science, visit our Science & Math Toy Collection.